Now, right up front…this is not a great movie. With that said, I totally enjoyed the movie when I first saw it in a movie theater. My father saved up for a decade to take his family on an 3 week European vacation and in that time we saw 1 movie in a french movie theater and YES, you guessed it…it was this film! Don’t ask me why we picked this one, we were 16 years old, looking for something in the action genre, because none of us wanted to read a lot of captions…and it features 2 twins, so to us at the time…win/win. As it turns out, I really enjoyed it. I will let you know that I do enjoy “cheesy” and “campy” as two adjectives for movies I enjoy. If you have a tendency to roll your eyes and switch the channel when you experience these things then, some of the films I present in this blog post are simply not going to be your cup of tea. Directed by John Boorman, and starring a slew of great actors that only got better with age, this is a very ambitious re-telling of the Arthurian legend. John Boorman wanted the story to be the focus of the movie rather than the actors. Therefore, he cast actors who were relatively unknown at the time to American audiences. 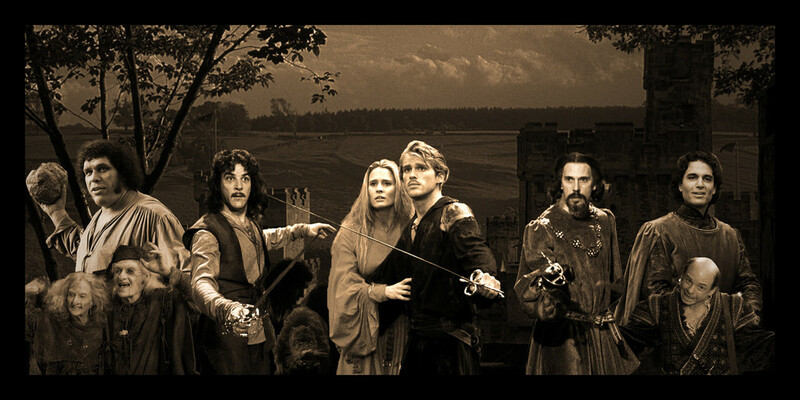 Among them were Gabriel Byrne (Uther), Patrick Stewart (Leondegrance),Liam Neeson (Gawain), Helen Mirren (Morgana) and Nicholas Clay (Launcelot). 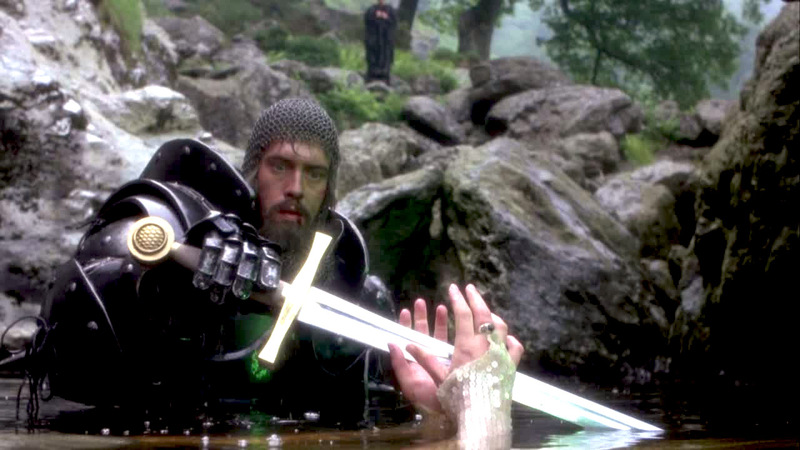 Only Nicol Williamson (Merlin) was relatively familiar to American moviegoers. 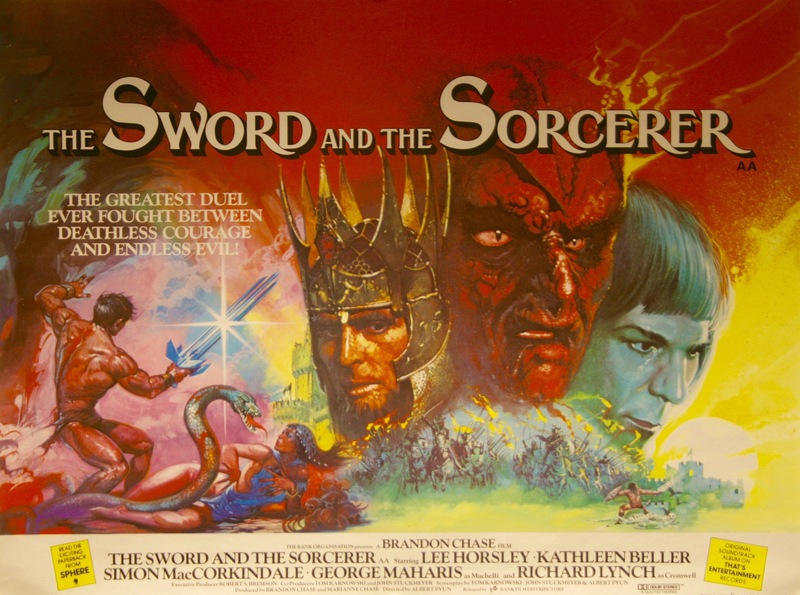 John Boorman was originally aiming at making a movie based on “The Lord of the Rings”. However, he did not acquire the rights, and decided to make this movie instead. He has gone on to say that he loved Peter Jackson’s vision for the Lord of the Rings Trilogy, that were filmed much later and was thrilled when someone finally made the movies. 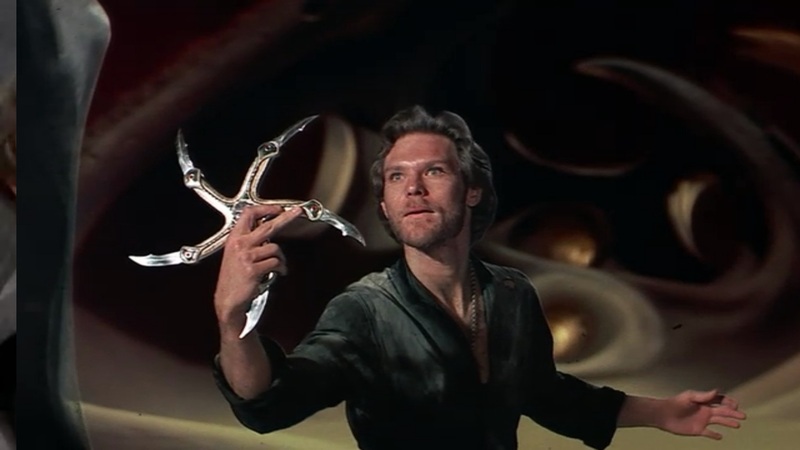 My brother and I loved the hero’s weapon in this…it looked like a giant throwing star. We would spend hours throwing frisbees at each other in the yard mimicking this movie. Directed by Peter Yates and also stars Liam Neeson in another of his seldom seen roles before he made it truly big. In this film, a maiden is kidnapped by an alien race and a band of medieval misfits ventures out to rescue her. It can be thought of as a film where a bunch of sword wielding knights break into a fortress to fight a laser-shooting alien race, only with fire Clydesdales and a cyclops added for good measure. Show-business trade-paper ‘Variety’ described the movie as Excalibur (1981) meets Star Wars (1977)”. The movie was actually massive, taking up over 10 sound stages at Pinewood Studios. It has some great creative ideas and inventive scenes…at least in theory. Execution is a bit clunky, but you can definitely watch this and appreciate the scope of what they were trying to do. Legendary stuntman and stunt coordinator Vic Armstrong (I write about him again later for the Indiana Jones series here) scoured allover the United Kingdom for 16 Clydesdale horses to purchase and then train. Moreover, horses from the Queen’s Household Cavalry near Buckingham Palace were borrowed and brought to the studio’s back-lot. This has Ridley Scott directing Tom Cruise in their first fantasy film, but the stand-out here is definitely Tim Curry as the Lord of Darkness. It also features some of the best make-up prosthetics you will ever see on film, by make-up artist Rob Bottin and his crew. He would later be nominated for an Oscar for his work on this film, but this makeup was really hard on Tim Curry. Tim Curry had to wear a large, bull-like structure atop his head with three-foot fiberglass horns supported by a harness underneath the makeup. The horns placed a strain on the back of the actor’s neck because they extended forward and not straight up. Bottin and his crew finally came up with horns that were lightweight enough. At the end of the day, he spent an hour in a bath in order to liquefy the soluble spirit gum. At one point, Curry got too impatient and claustrophobic and pulled the makeup off too quickly, tearing off his own skin in the process. Ridley Scott felt both horrified and sorry for Curry. Scott decided he didn’t want Curry to put more make up on his torn skin, so he shot around the actor for a week. 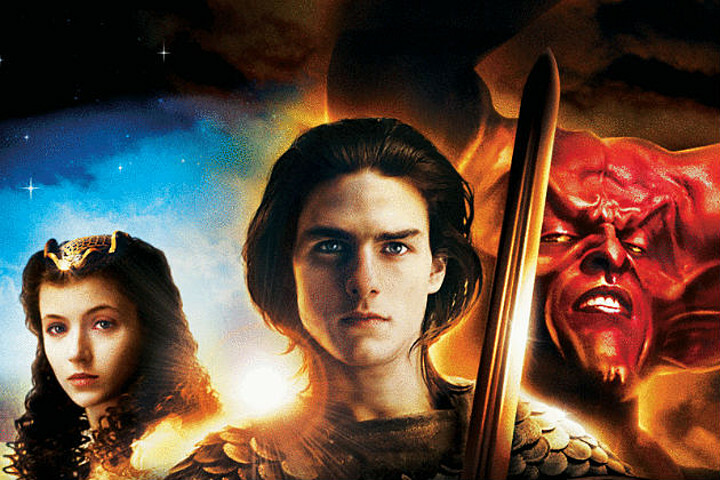 With the exception of Tom Cruise and Mia Sara, all the principal actors spent hours every morning having extensive makeup applied. Between 8 and 12 prosthetic pieces were applied individually to each face, then made up, molded and grafted into the actor’s face so that the prosthetics moved with their muscles. Each person needed three makeup artists working on them for an average time of three and a half hours spent applying prosthetics. Out of all the characters, the most challenging one in terms of makeup was Darkness. The first of 2 Jim Henson movies to make the list, this one features David Bowie and Jennifer Connelly. This one also features some incredible songs by Bowie. Bowie was keen to make a children’s movie, he liked the concept and found the script amusing and of more interest to him than many other contemporary special effects movies. 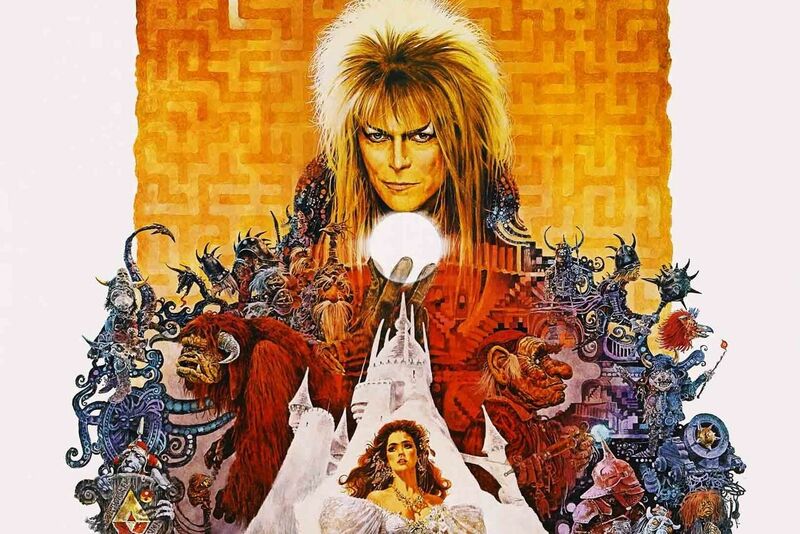 The movie is about a selfish 16-year old girl who is given 13 hours to solve a labyrinth and rescue her baby brother when her wish for him to be taken away is granted by the Goblin King. This one was co-directed by Jim Henson and Frank Oz. Frank Oz would go on to direct so many good films over the next 20 years. Hard to believe he started out as a puppeteer, but he’s so creative and talented, it taught him a lot of the things he needed to become a top director. This movie is about a Gelfling who embarks on a quest to find the missing shard of a magical crystal in order to restore order to his world. All the characters in the film are all puppets. Conceptual designer Brian Froud was behind the look and feel of virtually every aspect of the film’s production, from creatures and landscapes right down to the font of the opening title. In total, it took up five years of his life. He was also the conceptual designer for Labyrinth. 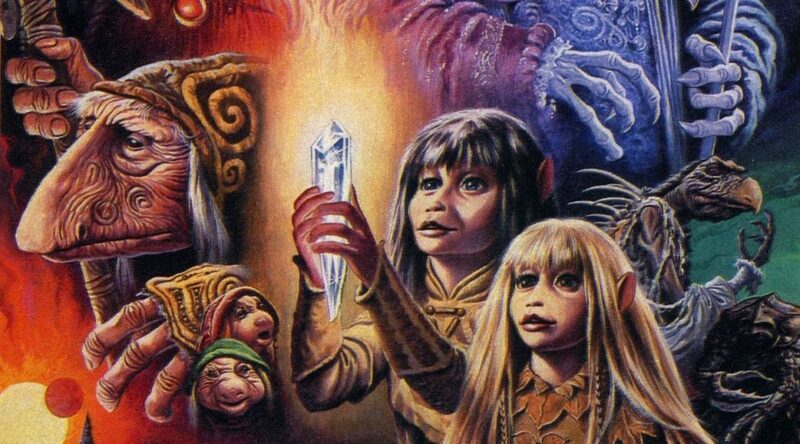 Froud and puppet designer Wendy Midener met on the set of the Dark Crystal and were later married. This film is about a troubled boy who dives into a wondrous fantasy world through the pages of a mysterious book. This is directed by Wolfgang Petersen, and is a very inventive movie. It’s a favorite of a lot of the kids who grew up in the 80’s. It’s actually a film shot and produced in Germany, based on a book by the very popular author Michael Ende. 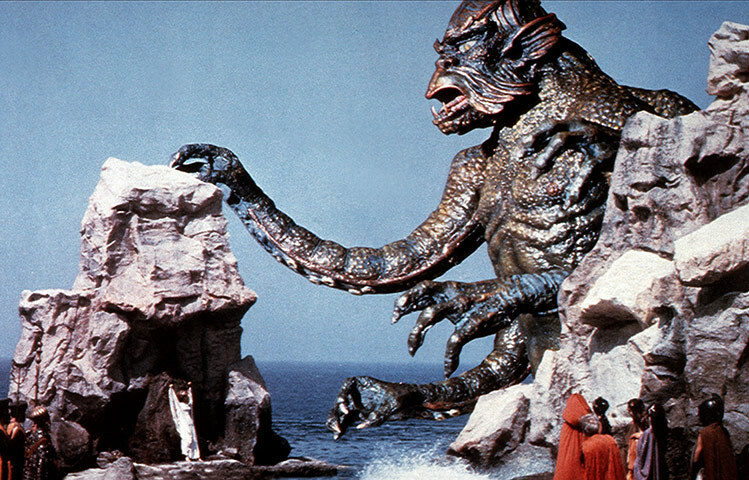 This is a film adaption of the myth of Perseus and his quest to battle both Medusa and the Kraken monster to save the Princess Andromeda, directed by Desmond Davis and special effects by Ray Harryhausen. Funny thing about the title of the film, no actual Titans actually appear in the film as the “Titans” were the gods who preceded the Olympians in power. Kronos (also spelled Cronus) and Atlas were the most famous Titans. In the movie, the Titans are the Norse Kraken (who never appeared in Greek mythology at all) and Medusa (who was never considered a Titan by the Greeks). 1982 was an amazing year as a lot of the films on this list were released in 1982 as well as ET, Blade Runner, The Thing, Poltergeist, Star Trek II: Wrath of Khan, Tron, First Blood, and Tootsie! 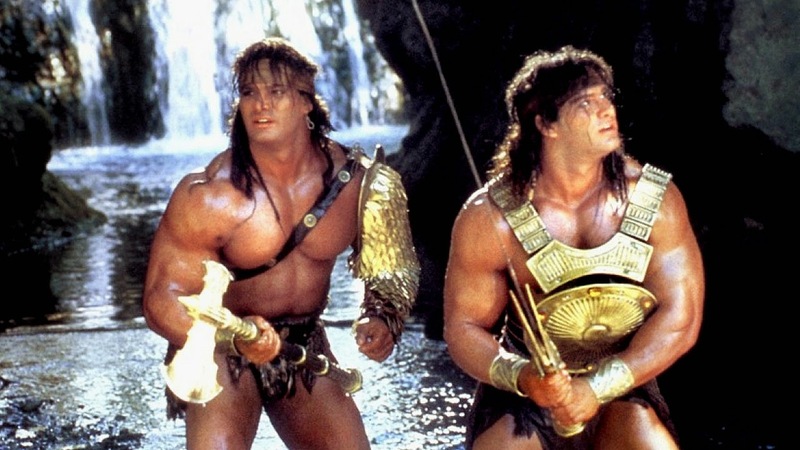 Conan was directed by John Milius and stars Arnold Schwarzenegger as Conan. There’s a lot of stunts in this film, Arnold Schwarzenegger had weapons training, martial arts training, and horse riding lessons from specialists. He trained with an 11-pound broadsword two hours a day for three months, and learned how to handle one; each broadsword cost $10,000 and had to look weathered. He also learned climbing techniques, and how to fall and roll and jump from 15-feet in the air. John Milius made sure all of these were videotaped, and according to Schwarzenegger, they were just as intense as training for bodybuilding competitions. Franco Columbu was his trainer and was rewarded with a small part in the film. Arnold Schwarzenegger and Sandahl Bergman did their own stunts, as suitable body doubles couldn’t be found. 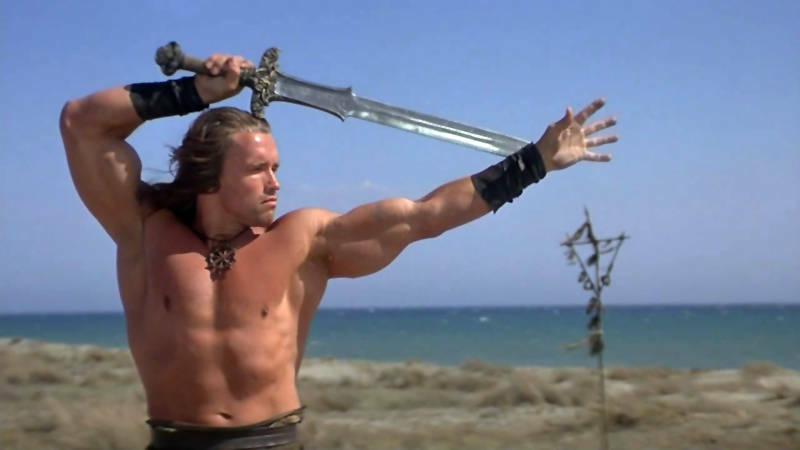 Arnold Schwarzenegger modelled his performance as Conan after Steve Reeves and his performances as Hercules. Conan was created by Author Robert E. Howard. This is the other film on the list that features the actor Richard Lynch. It’s actually my favorite Sword and Sandal film of all time. 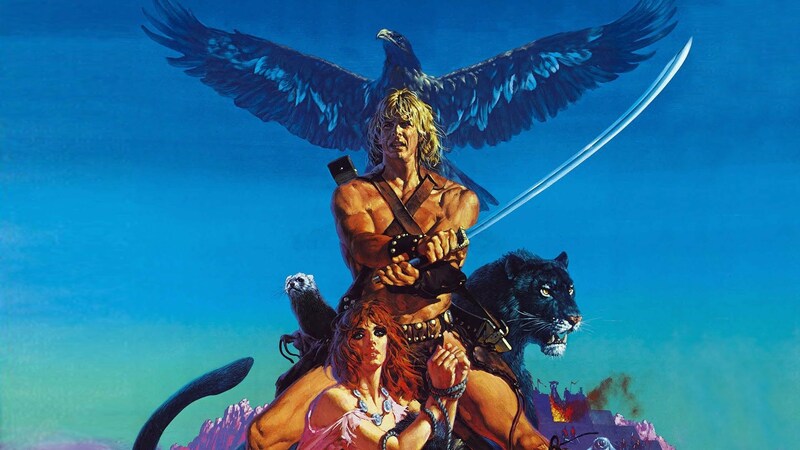 I think it’s even better than Conan, and it’s crazy to me that nobody knows about it. I even watched it recently and it totally holds up over time. This is simply a great little unknown film! It’s about a mercenary with a three-bladed sword who rediscovers his royal heritage’s dangerous future when he is recruited to help a princess foil the designs of a brutal tyrant and a powerful sorcerer in conquering a land. It stars Lee Horsely, who my brother and I loved as Matt Houston! The real reason to watch this is Matthew Broderick. He’s just fantastic as the mouse, the thief that technically narrates the film. He is so good that I thought he should have been nominated for an Oscar that year. The film is directed by the incredible Richard Donner and is also memorable for the score of the film by Andrew Powell and Alan Parsons from the Alan Parsons Project. They are my favorite “band” (in quotes because they’re not really a band, more like studio produced music, but still awesome). The movie is about Captain Etienne Navarre, who is a man on whose shoulders lie a cruel curse. Punished for loving each other, Navarre must become a wolf by night whilst his lover, Lady Isabeau, takes the form of a hawk by day. Together, with the thief Philippe Gaston, they must try to overthrow the corrupt Bishop and in doing so break the spell. The ultimate fantasy film and a lot of people’s favorite, including mine. Directed by Rob Reiner. A lot of people think this is his finest film. The film is about the lovely Buttercup, who is kidnapped by a ghastly gang intent on fermenting an international incident. They find they are pursued by the Dread Pirate Roberts who just might be Westley, her one true love. Also after everyone is nasty Prince Humperdinck to whom Buttercup is now betrothed but who seems to care little for her continued survival. The stage is set for swordfights, monsters, revenge and torture…and of course, true love. 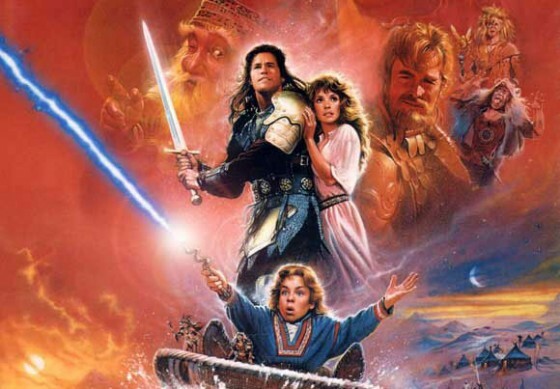 It has a fantastic cast which includes Mandy Patinkin, Cary Elwes, Christopher Guest, Andre The Giant, Robin Wright, Billy Crystal, Mel Smith, Wallace Shawn, Chris Sarandon, Peter Falk, Fred Savage, Peter Cook and Carol Kane. Cary Elwes was cast because of what Rob Reiner called his Douglas Fairbanks or Errol Flynn quality. Fairbanks and Flynn both played Robin Hood (Fairbanks in Robin Hood (1922) (which I discuss in a blog post here) and Flynn in The Adventures of Robin Hood (1938) (which I discuss in a blog post here). Elwes would later spoof their performances in Robin Hood: Men in Tights (1993). Ironically, the costume for Wesley as the Dread Pirate Roberts was designed after Douglas Fairbanks in The Mark of Zorro (1920). You can see pictures of him in a blog I wrote here. In order to create the Greatest Swordfight in Modern Times, Cary Elwes and Mandy Patinkin trained for months with Peter Diamond and Bob Anderson, who between them had been in the Olympics; worked on Bond, Lord of the Rings, Raiders of the Lost Ark (1981), and Star Wars films; and coached Errol Flynn and Burt Lancaster. Every spare moment on set was spent practicing. Eventually, when they showed Rob Reiner the swordfight for the movie, he was underwhelmed and requested that it be at least three minutes long rather than the current one minute. They added steps to the set, watched more swashbuckling movies for inspiration, re-choreographed the scene, and ended up with a three minute and 10 second fight which took the better part of a week to film from all angles. This is my favorite scene in the movie.